Some of you may have seen this picture from my Instagram showing the custom engraved lipsticks that my friend and I scored during a YSL Beauty event at Sephora. I am so glad I needed to stock up on essentials that day or we never would have walked in. Once we learned that we could get free custom engraving with the purchase of any two YSL Beauty products, we were totally sold. Never mind the fact that I'm already drowning in lipsticks... this opportunity could not be passed up! 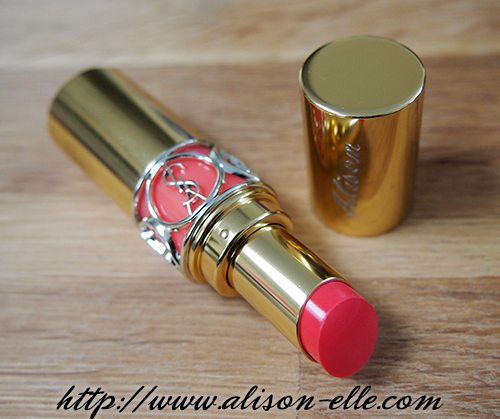 Plus, now when I buy a replacement lippie, I can simply remove my engraved cap and pop it on the new one. I opted for something fairly similar to my last YSL Rouge Volupté Shine (I'm surprised I didn't accidentally end up buying the same one... I clearly have a preference when it comes to lip colours). However, unlike #15 Corail Intuitive, which I was slightly disappointed in since it wasn't very pigmented, #30 Corail Ingenious is just right. In fact, it's probably the shade I should have bought in the first place. 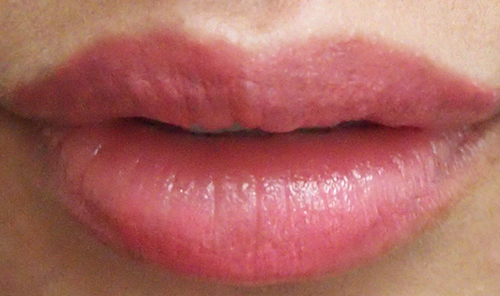 On my pigmented lips, this lipstick appears as a nice pinky coral. The formula is the same as always; hydrating and easy to wear. Plus, it's got the signature fruity scent which I like a lot. 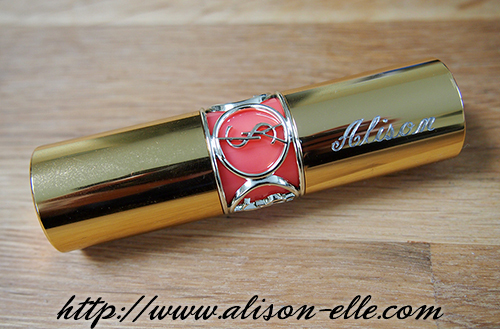 If you're looking for a treat makeup-wise, I really feel like you can't go wrong with YSL. Their packaging is seriously gorgeous -- even moreso if you're lucky enough to get a custom engraving like I did! i bought one of these recently but sadly no engraving, i want! such a pretty shade you chose! So cute! I love YSL lipsticks, this colour is lovely. Awww! The engraving is so cool! !